Runs on: OS/2 Warp 3 or later. 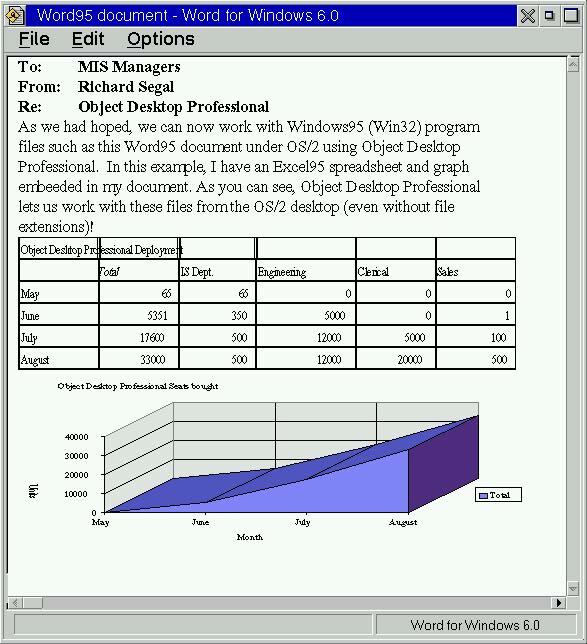 Object Desktop for OS/2 is an advanced desktop environment environment. . It uses IBM's System Object Model (SOM) and the Workplace Shell (WPS) to add features, power, ease of use, and performance to the base operating system. 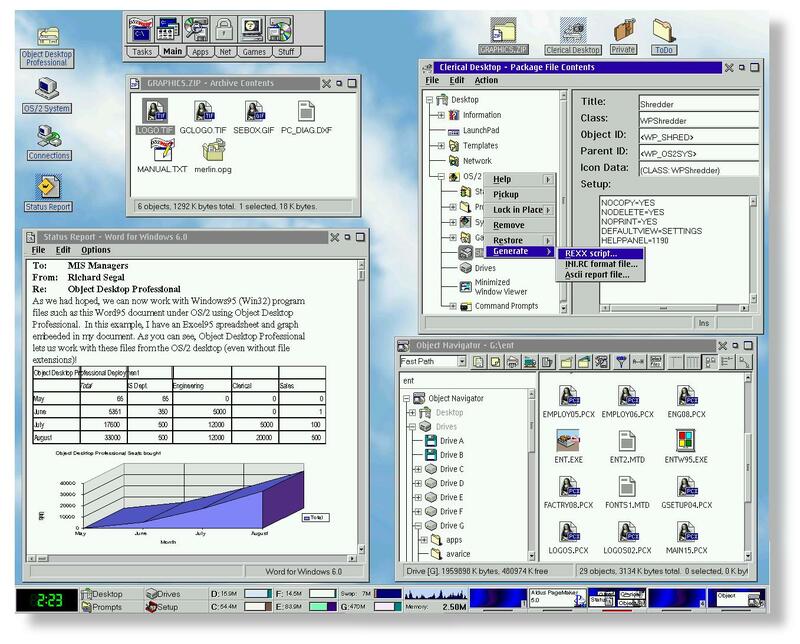 Object Desktop is targeted at all users of OS/2, but particularly those on small networks and in the home. It has been the top selling OS/2 product world-wide since its inception. In fact, in some retail channels, its sales rival OS/2 itself. What is in Object Desktop 2.0 that wasn't in Object Desktop 1.5? (Layouts which will allow you to automatically position programs in certain virtual desktops). 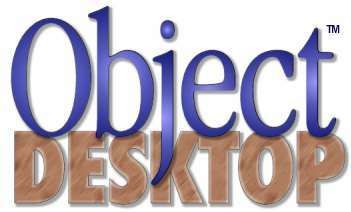 Under the hood, Object Desktop 2.0 represents Stardock's new state of the art object oriented technology. 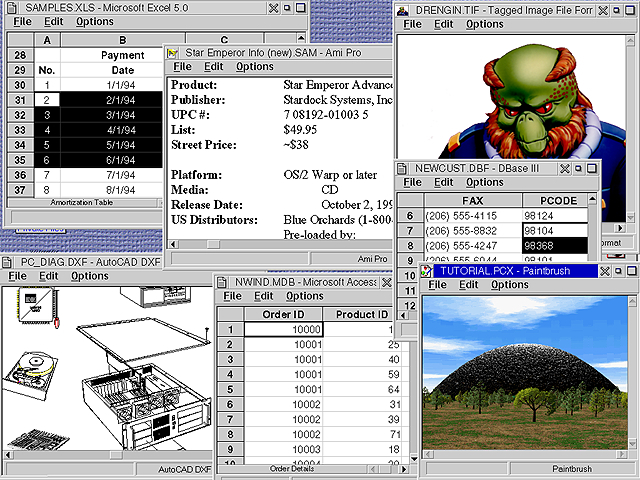 The features have been further broken up into componentized form to increase performance and compatibility for OS/2 today and far intot he future.